The Garden of Scotland is a title that East Lothian is proud of and the visiting golfer can enjoy the quality locally grown produce served in the hotels and restaurants. Add to that locally caught seafood and Belhaven Smokehouse Trout and the discerning diner will be sure to find something to tempt them. When washed down with a pint of Belhaven Best, Thistly Cross Cider or a dram of Glenkinchie you will find a contented golfer. 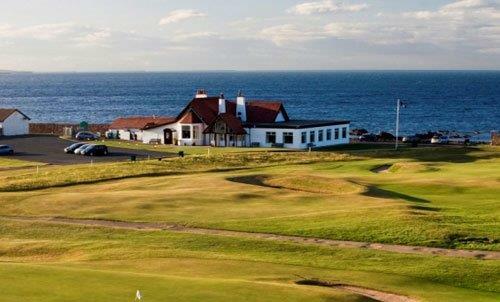 Lying between the North Sea coast and the foothills of the Lammermuir Hills, East Lothian has many spectacular views and many visitor attractions to appeal to the non-golfer. The town of Dunbar is the Birthplace of John Muir, founder of the modern conservation movement and father of National Parks in the USA, his birthplace is now a popular museum on the town High Street. braving the North Sea waves. If you feel like a shot yourself, check out Coast2Coast Surf School. One of the area's most recent attractions is Foxlake. Located just to the west of Dunbar, Foxlake Adventures is Scotland’s first cable wakeboarding park along with the UK’s only ropes advenure course constructed over water. Whether you want to give wakeboarding a try, tackle zip lines on FoxFall or just chill out on the lake side with a coffee from the Boardside café, Foxlake will have something for you. An excellent Leisure Pool and Sports Centre in Dunbar offers more sporting options, while many a child has had to be dragged away from East Links Family Park, begging for just one more ride on the ponies, safari train or pedal tractor. Other attractions close to Dunbar include the Belhaven Fruit Farm. Please see www.dunbar.org.uk for more information on the town. Scotlandʼs National Museum of Flight is the home to one of the few Concorde aircraft built, while the Seabird Centre in North Berwick is already a multi-award winning visitor attraction. Scattered throughout the area are the ruins of many Castles as well as ancient monuments. Dunbar, Tantallon and Hailes Castles all have their part in Scotlandʼs rich history and are constant reminders of struggles of the past. East Lothian offers a wide range of accommodation including internationally known hotels, smaller boutique style hotels, private hotels and bed & breakfast establishments, all of which flourish on the attention to detail of their management and staff. Look out for one of many local Farm Shops, offering excellent local and sustainable produce. Please click here to see the Links page for contact details of local accommodation.